Brady's is proud to now carry fresh Bajan Tyga hot sauce from Island Son Hot Sauces; made locally in small batches right here in Kitchener-Waterloo using a traditional family recipe from Barbados! Bajan Tyga hot sauce is made with fresh mango, Scotch Bonnet peppers, and lime; and features a fresh, fruity, and spicy flavour which pairs perfectly with any barbecued meat or veggies. Regular store hours resume Thursday, January 3rd, 2019. 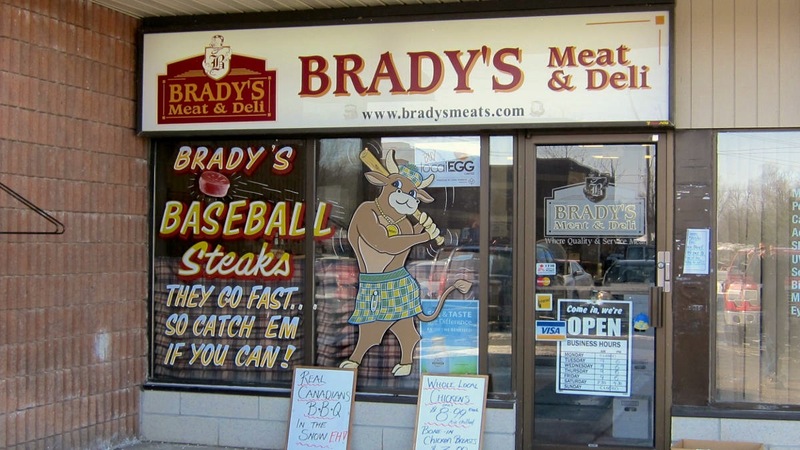 New at Brady's! Eby Manor Guernsey yogurt, from just north of Waterloo Ontario, between Conestogo and St. Jacobs. Guernseys are medium-sized dairy cows which naturally produce milk with more milk solids and beta carotene than other dairy cows, giving the milk a distinctive golden colour. Eby Manor guernseys are treated well, allowed to graze outside, and are fed a mixture of non-genetically-modified hay, corn silage (whole corn plant, chopped), grain corn, and soybean meal.